The wooden bucket we made the trip to the new world on. We are landing today and the weather is fine and clear as we travel the last bit of our journey. Here we are waiting patiently for transport to take us to our arrival lunch. Below is some of the coastline we passed to get here. 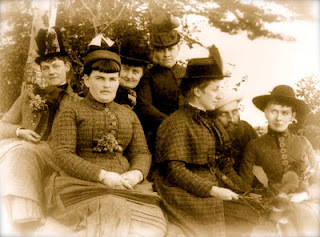 My next post will be some of the convict challenge quilts we made along the way. The whole experience has been a real hoot. 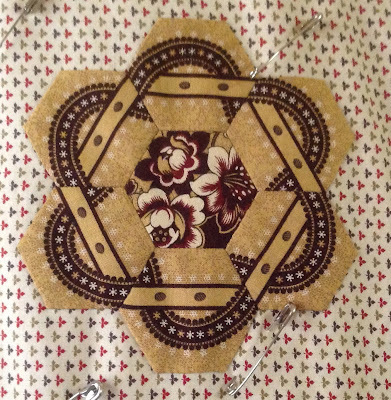 This is using 2 inch hexagons with Kaffe Fassett florals and spots and Reece Scannel shot cottons. All my bright florals will be surrounded with the lime green fabric and then joined together with the purple and lime spot. Yummy. 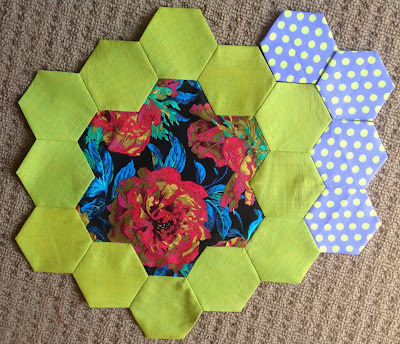 I think I am developing a small problem as everything I want to make or that I design for a class quilt, involves english piecing, especial hexagons, and clamshells and anything really. These two shapes are from one inch hexagons. This stunning quilt is by Ann Randoll and is at present on display at the exhibition in Brisbane. I am joining a class with Rhonda Pearse in January at Summer School in the Blue Mountains to start this amazing quit. 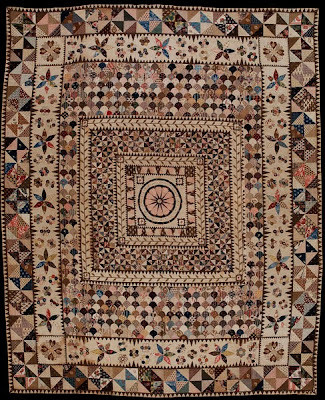 I have seen this quilt a couple of times in real life and it is drop dead gorgeous. 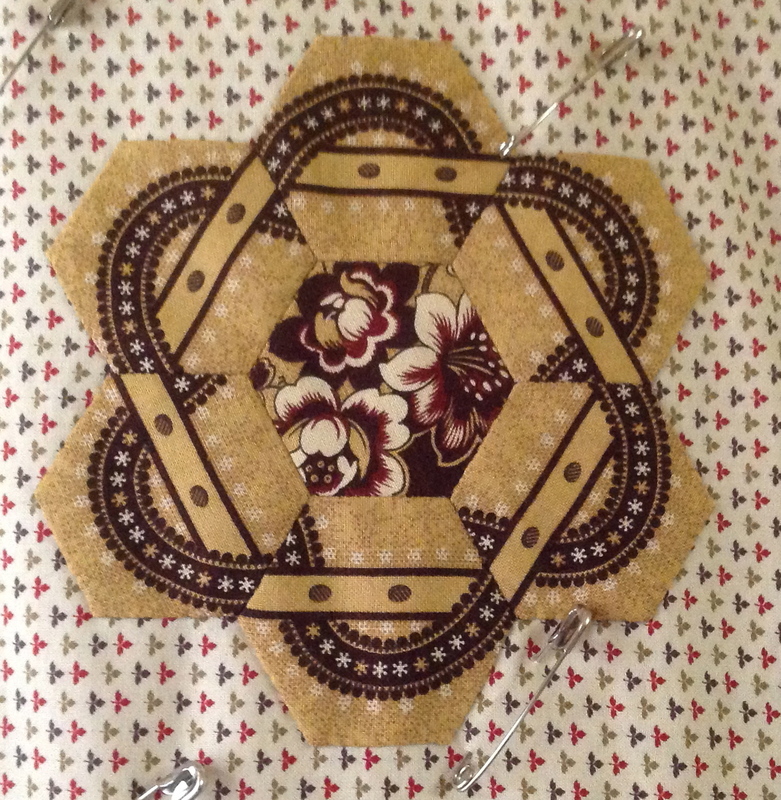 Part of my quilt 'Grove Medallion' designed and taught as a class in 2003. 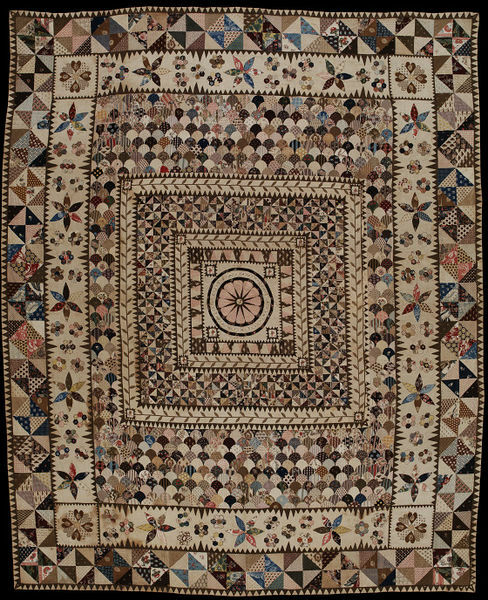 It is based around an old english quilt. Just for you Leanne, a bit more to the puzzle. These two blocks form part of the next border in my quilt 'Brinton Hall' for classes in 2014. 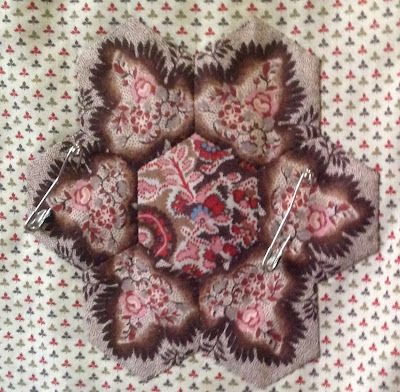 This is part of one of my new quilts for 2014. It is called 'Freedom Train North' and is based around the escape code used by slaves using the underground railroad.